A roof makes up nearly 40% of a home’s exterior surface and it is one of your home’s best defenses against weather conditions. While many homeowners focus on the inside of their home, your roof is actually one of the bestselling features of a home overall. The most obvious tends to be thought of when it comes to roof repair: leaks, missing or cracked tiles, and holes. Surely these problems need to be addressed right away, but have you ever considered the aesthetic appeal of your roof? Especially for tiled roofs, when the sun’s rays beat down upon the tiles for hours a day, the result is discoloration. When your roof tiles are discolored, the overall look of your home can appear, well, ugly. Peeled and cracked tiles are a result of sun damage and age. Coating with professional grade paint like Nu-tech will provide a resistance from this happening again, as well as blistering and delamination. 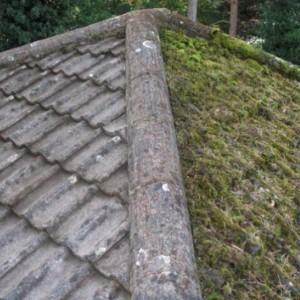 Do you have moss build-up on your roof? Moss can grow in different climates depending on the type of moss. Cool Roof Coatings provides a necessary resistant against the moss growing in your area. Are you noticing that it is difficult to regulate the temperature in your home? Cool Roof Coatings reflects infrared light rays away from the roof’s surface, reducing transient heat entering the roof space and home during hot weather. If you notice your roof tiles are allowing leaks in and you need a cost-effective, but reliable solution, re-sealing with a professional grade coating can lock out moisture. For the above and other problems you notice with your roof, contact Custom Coating Restoration for a free quote today! ← Signs That Should I Have My Tile Roof Color Coated?